Hot yoga has been growing in popularity in recent years. These classes are different than your typical yoga class because the temperature of the room ranges from 90 to 100 degrees or more. Research has shown that there are great benefits of hot yoga, including improved flexibility, balance and strength. With any form of exercise, there are some risks associated with practice. However, they are easily avoidable if you know the right way to prepare! Hot yoga can make you feel and look your best, but you should avoid making the following common mistakes to practice as safely as possible. It is also a good idea to discuss your interest in practicing with a doctor prior to taking a class, particularly if you have low blood pressure or heart issues. The intense heat of a hot yoga class combined with performing physical exercises will cause you to sweat (a lot). You need to be prepared by drinking water before, during if possible, and especially after the class. Make an effort to drink a healthy amount of water before and after class, and take breaks to drink during class should you need to. The results promised by hot yoga can be a great motivator to push through a long and exhausting class. However, you should not push your body too hard when you are first starting out this practice. It can take a few classes before you get used to the heat, so take it slow! Stay focused on your own body and movements, and don't compare yourself to other more experienced yogis in the room. Remember that everyone is on their own fitness journey, and your practice may look different than others. Try to find a studio where both beginners and advanced students are welcome, such as The Hot Yoga Spot. To add to Mistake #2, perhaps the biggest mistake people make when trying out hot yoga is not listening to their bodies. If you start to feel light-headed, dizzy, or nauseous there is no shame in taking a break and getting some water. If you feel yourself getting wobbly, return to child's pose for a few breaths and then continue if you feel okay. You should stop immediately and seek medical attention if you feel faint. It's helpful to keep in mind that the practice of yoga is intended to increase your awareness of your body in the present moment. If your body is crying out for water or rest, listen to it. You are your best advocate in a yoga class and in life. Hot yoga can be incredibly beneficial to practice, but as with any physical activity, you need to be smart and safe. 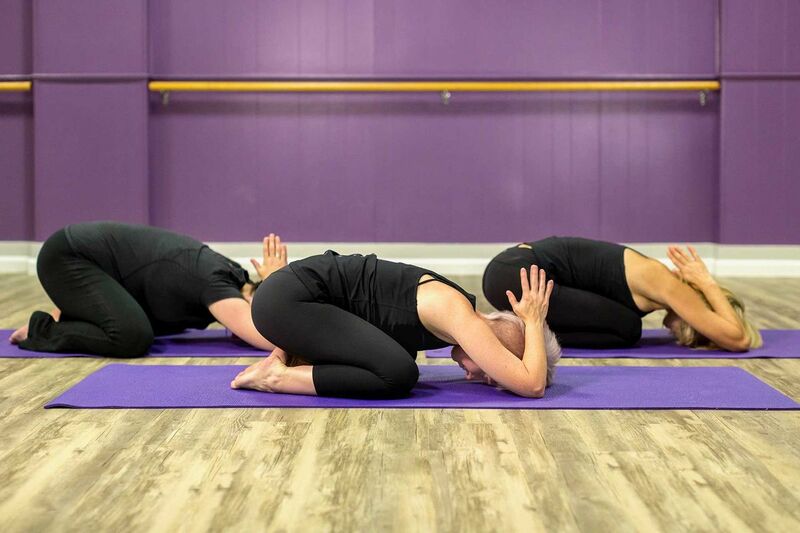 At The Hot Yoga Spot, we offer a variety of heated and non-heated yoga and barre classes, and our expert instructors can help both beginner and advanced students. Browse our class schedules at one of our five Capital Region locations today!